One of the most often asked question I get as a windsurf travel specialist is, “when is it windy in Bonaire”. Who knows, right? Sometimes to illustrate the answer I explain that I once was skunked in The Gorge (when I was there with my Bonaire buddies Tonky and Ro). The real answer is Nov. – July our winds are best but we can have a wicked windy Sept. and a dead lull in January. It’s a bummer to book a week holiday and have light winds, I know. Never fear, a real windsurfer will find something to do on the water when the winds are light. Here is a little video of one sailor who makes it work no matter what Mother Nature Offers. Meet Caesar Finies, our light wind wiz. Caesar is my hero. In the world of Caribbean diving the word Lionfish sends shivers down the spine of any eco minded dive enthusiast. This venomous creature has no natural predators in the Caribbean and can wreck havoc on the sea life in days. Native to Asia it is thought aquarium owners dumped some Lionfish into the warm Atlantic introducing this villain into the eco system. 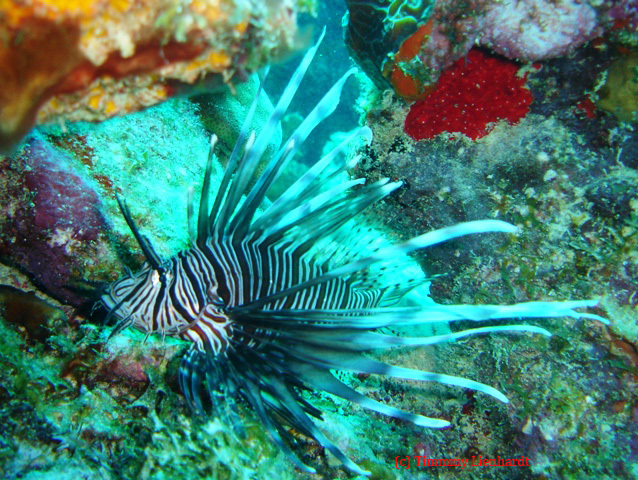 The Lionfish is a voracious predators feeding on many varieties of fish. The Bonaire Marine Park has a great link to read more. 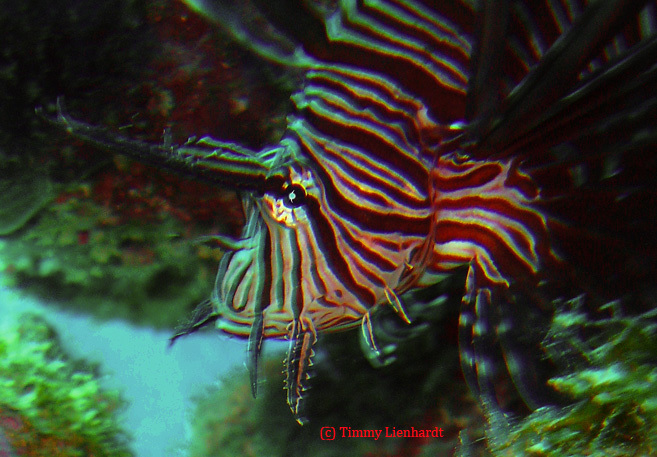 In the meantime enjoy Timmy Lienhardt’s photos of the lionfish he observed (and caught) in Bonaire.